For Gale, who was born into a military family, being nomadic was the norm. That, and a rich exposure to art, architecture and history. Art is the course that Gale set for herself as a child and she has stuck to it during some circuitous turns and long journeys. 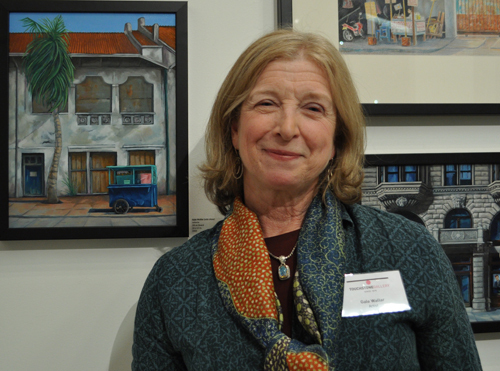 After achieving a BFA in painting and printmaking, she freelanced in Washington D.C. and some of her political cartoons were published in the Washington Post.